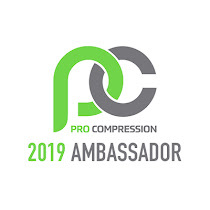 By now you've probably seen me profess my love for PROBAR® and their products time and time again. I've been loving them ever since being first introduced to the brand (through a subscription box in 2014). I've also been lucky enough to be a part of their blogger network for a while and often get sent some of their delicious products to try. 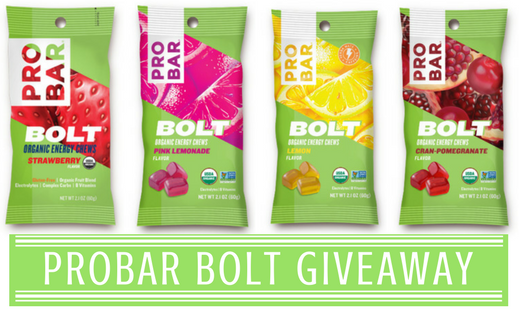 Well, when I noticed that they had released new flavors of the PROBAR® BOLT Chews I was PUMPED! 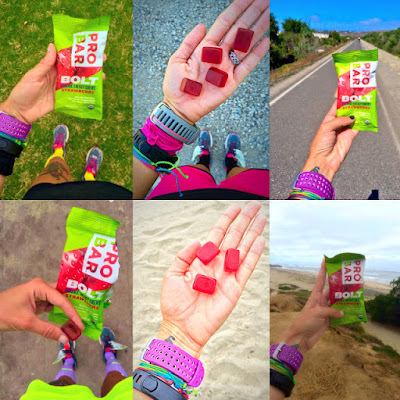 I have been fueling for my long runs and races almost exclusively with PROBAR® BOLT Chews since 2014 (strawberry is my JAM). So when the doorbell rang and I saw a box from PROBAR®, it was sort of like magic... or like Christmas morning! I opened the box and a choir of angels sang! Okay, maybe it wasn't THAT crazy, but I really was doing an internal dance! I'll be the first to admit that I'm a creature of habit. I love the strawberry chews so have THREE cases of them in the cupboard... But I also know I've liked most everything I've tried from PROBAR® so couldn't wait to test the new flavors! The hubby is a coffee addict drinker, so when I mentioned one of the new flavors had caffeine (20 mg per serving from Yerba Mate) he jumped at the chance to give them a try. 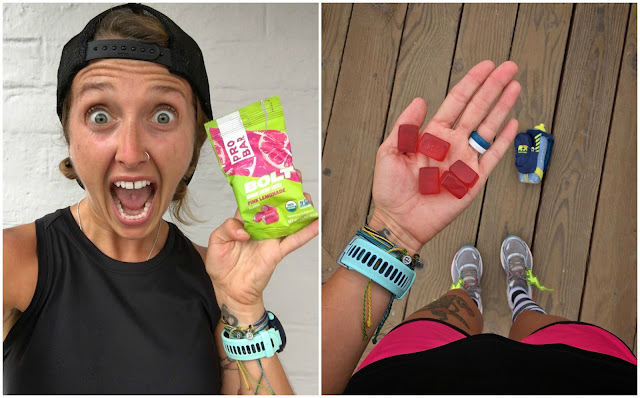 He had an 11 miler on tap last weekend (he's currently training for the "First Half" of the San Francisco Marathon) and grabbed a pouch before he hit the road. He said that he really appreciated the boost the chews gave him (especially because he said he was starting to drag a bit before he popped them in his mouth). He prefers more of a 'sweet' than a 'sour' flavor, but said he'd totally use these again. You know I always have to #KeepItReal, so I want to be completely upfront. I dislike the flavor of cranberry - it tastes a bit like dirt to me (which is why I take a supplement of it daily, instead of drinking the juice), so I was a little hesitant about this one. Maybe it was the pomegranate mixed in, but I didn't mind these chews. I'd say they tasted like a generic "red berry" type flavor. I wouldn't say they're a new favorite, but hey, not every one can be a home run (and again, it is probably due to the fact that cranberry isn't my jam to begin with, you may love them). Now, seeing as the AMAZING folks at PROBAR® sent me a case of each flavor, I could definitely be selfish and keep them all for myself, but I thought I would try to spread the wealth a little. I decided I'd break up the cases into little variety packs and do a giveaway for YOU! There will be THREE winners - each receiving 4 pouches of Strawberry, 4 pouches of Pink Lemonade, 4 pouches of Lemon and 4 pouches of Cran-Pomegranate. This giveaway will run through Monday, July 10th at 11:59pm PST. The winners will be contacted via the email address associated with their Rafflecopter account and have 24 hours to claim their prize. Open to US Residents only. All entries are verified, so be sure to complete them or a new, random winner will be selected (don't miss out on a technicality). 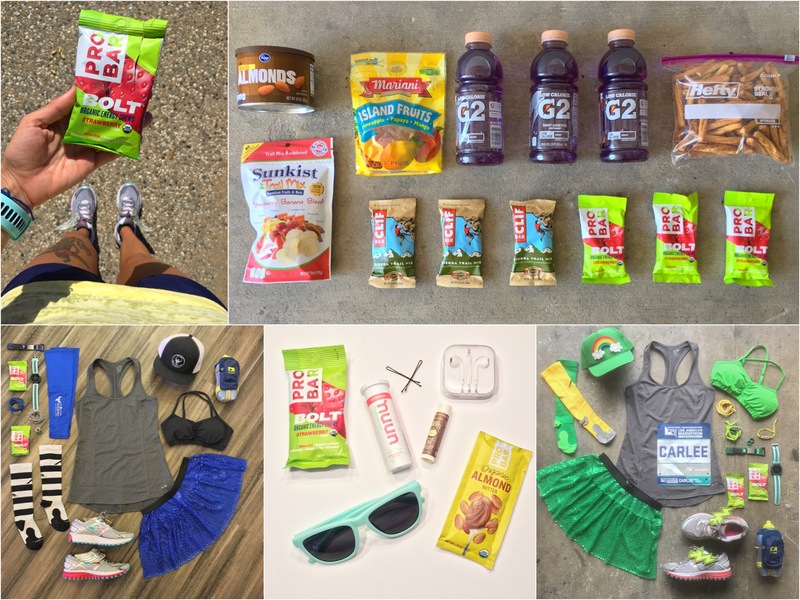 How do you fuel for your long runs? I have a sensitive stomach so I've had a hard time fishing something to fuel my runs that doesn't make me feel bad. I would love to try these!! I have tried other chews and love how convenient they are. Can't wait to give probate a try with these great flavors. I always use gu or some type of chews. These look great and I can't wait to try them! Pink Lemonade?!? OMG! I want to use these for runs and hikes! I typically use shot blocks but would love to try the pink lemonade!!! Yummy!!! Right now I use all Melaleuca products to fuel my workouts! Before, during, and after. Love them but always open to trying new ones. I have used honey stinger for my long runs. I used to use Honey Stinger chews, but have started trying out dried pineapple and fruit snacks. I've had Pro Bar before, but never the chews! I normally need an empty stomach when I workout but I do carry small non-chocolate energy bars (not too sweet) with me just in case. I need to try more things like this to see if they work better. before I eat a banana, drink Sword during and use a Huma gel during if needed. 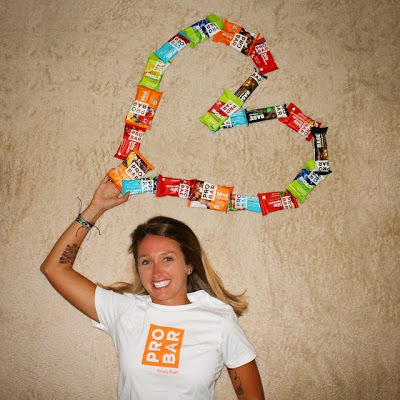 I am not a big fan of energy bars in general, but I love the ProBAR chews. They're like a treat. I am excited about the new flavors. I love nuun and probar bolts! So happy there are new flavors! Been using Nuun in my water bottle plus GUs, but the GUs have messed up my stomach a little the past few long runs. So I want to try some new things in my upcoming training. I actually use ProBar Bolt Chews!!! I'm so excited about new flavors and some caffeine because I'm finding I need more caffeine before running. Nice I think I might need to try these! I usually do gels (mostly Gu Roctane) because I don't want to chew. I use UCAN, Huma, or Tailwind. I switched to Prober bolt after seeing you use them so often. They are so yummy! I typically fuel with a combo of proteins (like almond butter - yum!) with whole grains. I've never tried Probar, so I plan to give them a whirl! I use Clif shot bloks, would love to try these! I have been using Gus or Honey stinger waffles, neither of which I'm married to. I love ProBar chews! That or nuun is my go to fuel. 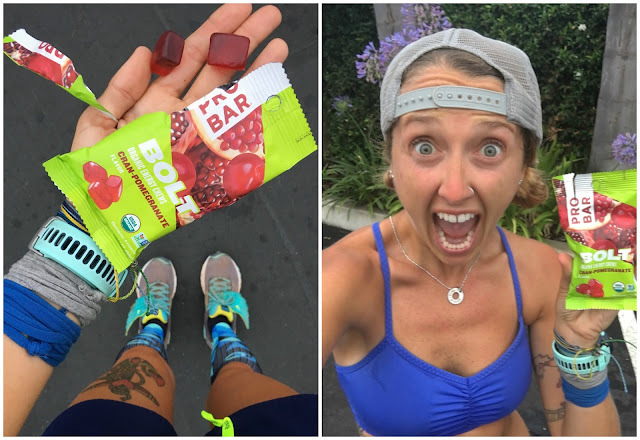 I first tried ProBar 3ish weeks ago on my first long run of marathon training. 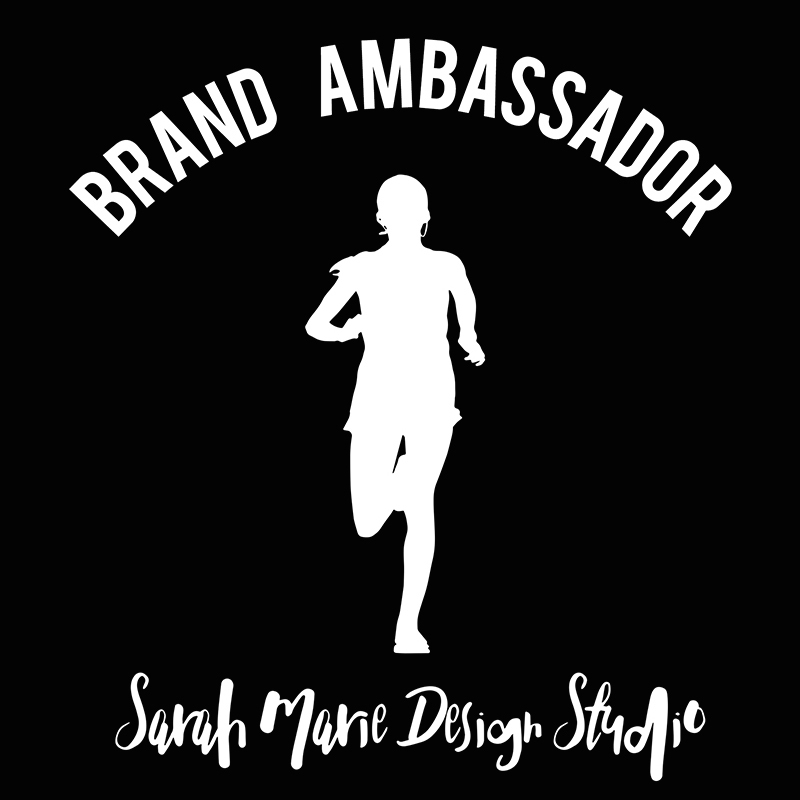 I've struggled with fueling during runs in the past and was hesitant to try something new. I get a lot of stomach upset/nausea, etc. but at least with the fuel I've been using it was predictable. I found ProBar in my local supermarket and remembered seeing it on your instagram feed and decided to try it on a whim. I'm so glad that I did!! The taste amazing and its really gentle on my sensitive stomach. I'd love to try these! Sounds like they are deliah and just what I need for my runs. 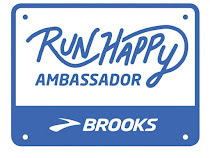 Just starting in running...so dont have anything I currently use since my runs are so short. But interested in checking these out as I continue. I use the Gu's. I like chocolate or carmel with lots of water. I'm a shot block girl but as long as it's a chew, I'm not picky! I LOVE the sound of pink lemonade! I like Honey Stingers or Gushers! I prefer an empty stomach when I workout, because my stomach gets upset easily. In the summer I need something or I get really light-headed, so I eat a banana before I start, but am trying to find something for a boost towards the end. I don't usually like to eat right before running, but for me a lot of it is just getting into the right mindset! These look great though for an extra boost! I used to eat jerky, but it has become too expensive. Now I go with a couple of hard boiled eggs or a protein shake. I actually just started running again so far I'm running on empty stomach most of the time due to how hot it is. It depends on the length of the run, but I use a combination of gels, chews, and peanut butter packets. I can't wait to try pink lemonade! whelp due to your influence i've started using the probar bolts myself!! I eat a granola bar. I've used gels and chews in the past. I'm always in search of new flavors! 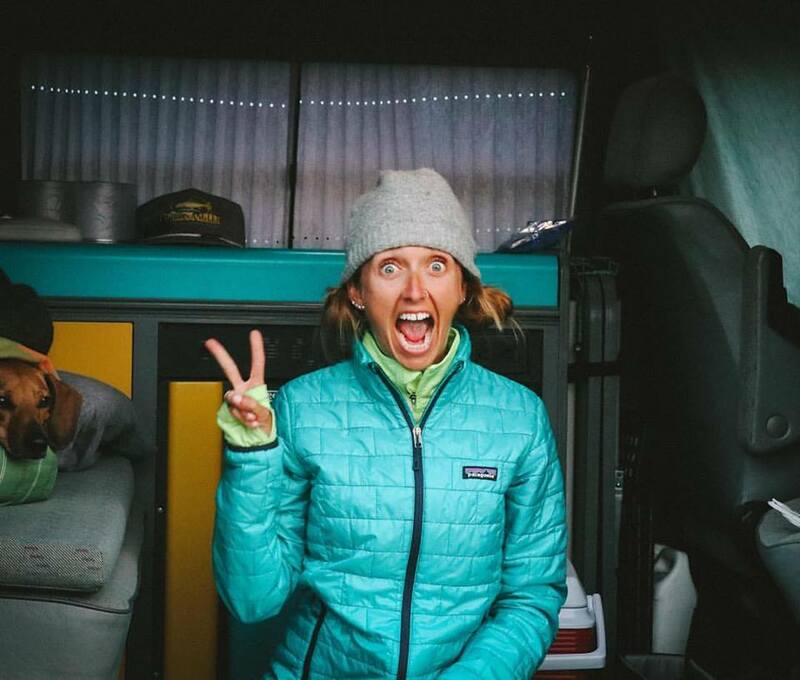 My long runs are only 90 minutes now, so I normally don't fuel. When I was marathon training I used Gu, especially salted caramel. I'd love to try these though. I used to use Jelly Belly sport beans and they were just okay for me. I now use Gatorade chews or if I'm out of chews, I've grabbed just a pack of fruit snacks a couple times. I do miss the caffeine from the beans and would like to try the lemon.